It seems unbelievable that Beethoven should continue to be a mystery. We have been writing about him for two centuries, and have built around him the whole conceptual edifice on which what we now call “classical music” is based. Yet this figure is still ripe for rethinking, again and again, and his manuscripts continue to reveal so much. This is precisely what I wanted to explore in my PhD in musicology, focusing on his work sketches and, more specifically, on those oriented towards new ways of using the body when playing piano. 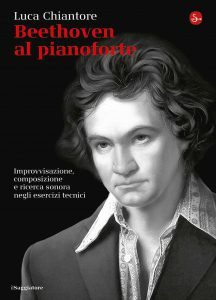 Research into the resources of the piano and pianists kept Beethoven busy throughout his life, and was surprisingly intense at key moments of his existence, being directly related to his activity as an improviser. 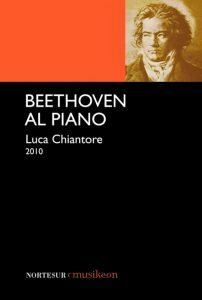 That doctoral research project led to a long single-subject book, Beethoven al piano, first published in Spanish in 2010, and then in Italian in 2014. A new version of this text is planned for publication in Spanish and English in 2020, and in it I will underline even more emphatically the degree to which historical sources allow for the writing of a Beethoven story a long way from the idealised image that took hold from the second half of the 19th century. The work sketches written by the composer for the development of his own technique show, even better than his published works, his ability to develop an experimental pianism of great sonic and visual impact, one characterised by new physical postures at the instrument. He was an artist in whom both compositional and performative aspects constantly interacted, and whose attachment to the discipline/materialism/ embodies all the yearnings and idealisms of that revolutionary era.